Channel your inner Jessica Rabbit. 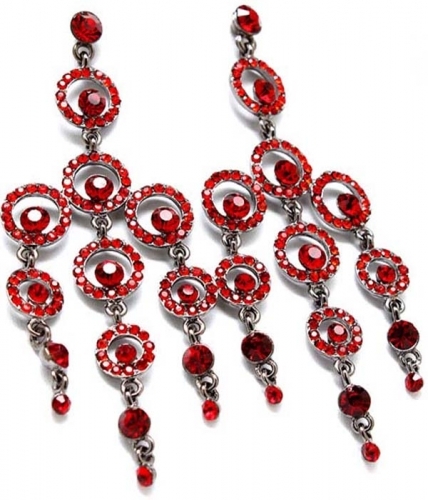 The Ava Chandelier Earrings take on an art deco inspiration that exudes vamp with divine red crystals. Made for the sweet-hearted vixens. Buying jewellery online has never been so easy and fun. We hope you enjoy shopping at Oz Bling.